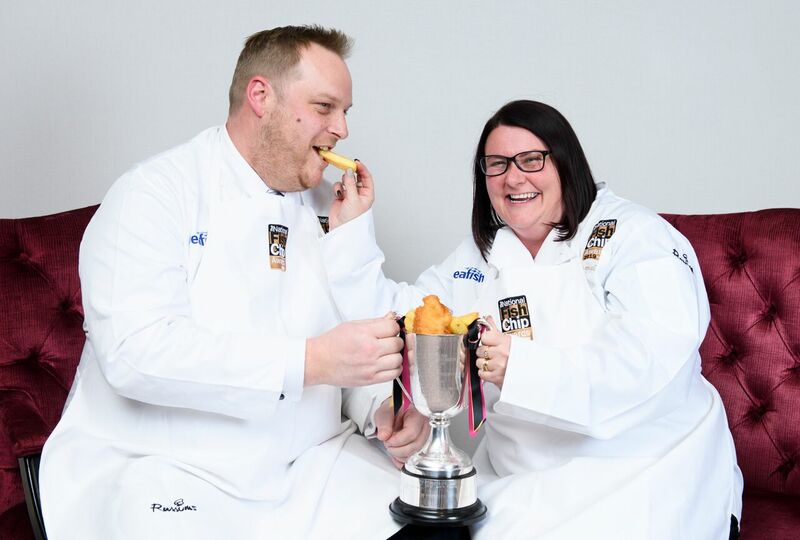 Krispies Fish & Chips from Exmouth, Devon are frying high today as they celebrate netting the enviable title of the UK’s best fish and chip shop at the National Fish & Chip Awards 2019, organised by Seafish. Owned and operated by husband and wife team Kelly and Tim Barnes, Krispies beat off competition from nine other finalist shops to clinch the title, which has led to previous champions doubling their turnover in the twelve months following the announcement. Krispies were also successful in the Staff Training and Development Award category. Another Devon based business, Harbourside Fish & Chips, Plymouth, are also celebrating having scooped the Healthy Eating ‘Fish and Chips’ Award. Captain’s Fish & Chips, Hoddesdon, Hertfordshire scooped second place, with Low’s Traditional Fish and Chips from Aberdeen taking third. Marcus Coleman, Chief Executive Officer at Seafish, said: “Krispies have beaten the best fish and chip shops in the business to win this prestigious award and we’d like to offer our warmest congratulations to them for what is a truly superb effort. Their final presentation to the judging panel was truly first class, with their passion for fish & chips evident throughout. 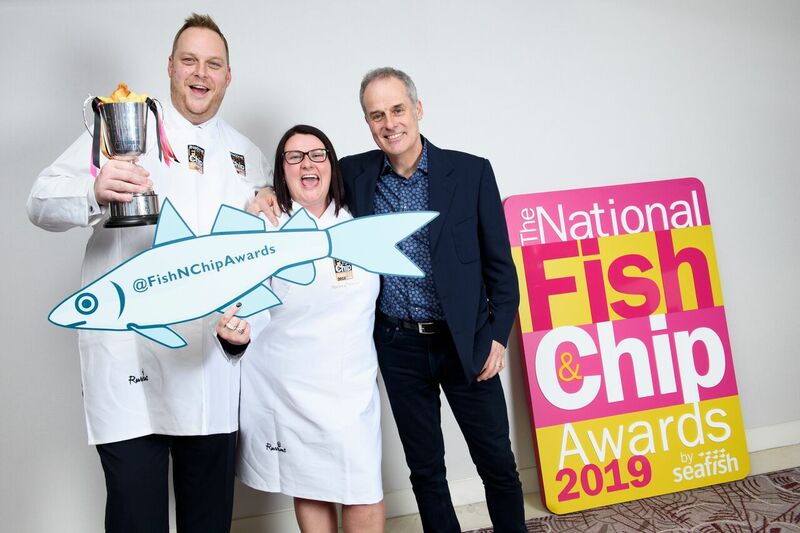 For more information about the awards visit: https://www.seafish.org/fish-chip-awards or follow @fishnchipawards / #fishnchipawards on Twitter. For more information about fish and chips: www.fishisthedish.co.uk/win/national-fish-chip-awards or follow @fishisthedish.